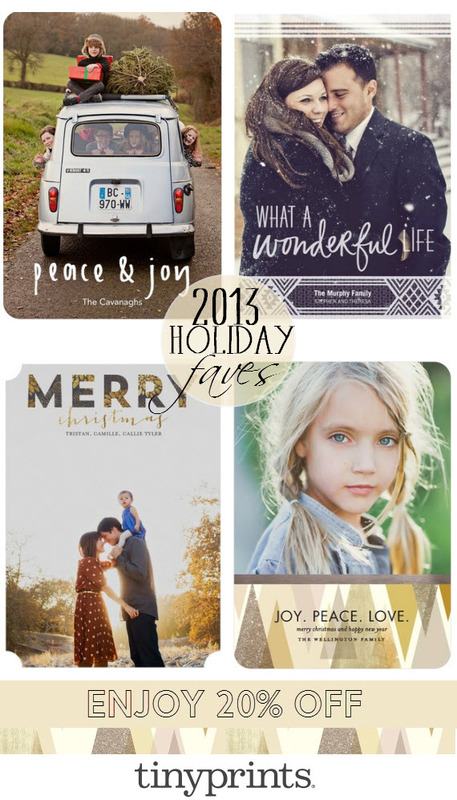 Now until October 15th Tiny Prints is offering 15% off all holiday card orders or 20% off orders of $149 or more using the code 20HOLOCT at checkout. With the arrival of cooler weather comes boots, cashmere scarves and cozy coats. It’s also time to get your mudroom organized and functioning at its best. Over at Wayfair, I’m sharing 5 simple tips on getting the most out of your mudroom this winter. 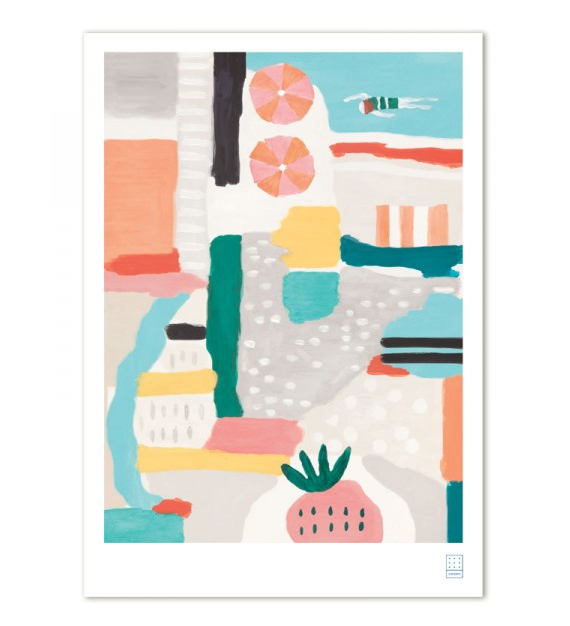 With summer in full gear, the Coast Collection by Australian-based artist, Charlotte Swiden grabbed my attention. The designs and creative techniques are influenced by Charlotte’s Swedish heritage, love of nature and childhood spent on the southern shores of Sweden (and yes, she was born with the name Swiden). 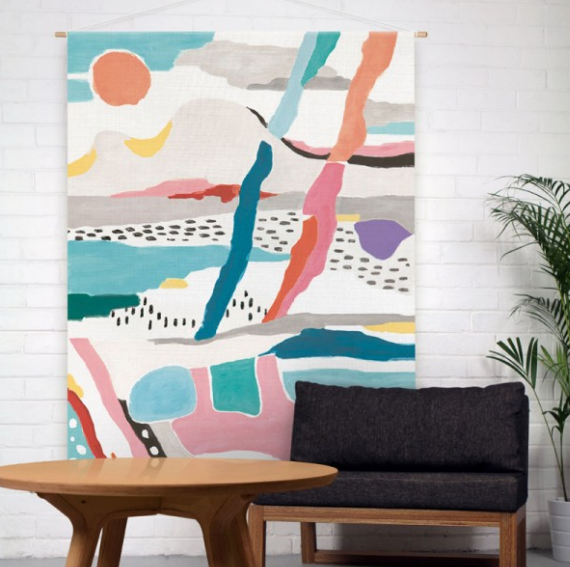 Colorful, playful and reminiscent of summer days by the ocean, these linen wall hangings come in two sizes. Like most Swedes she likes order, structure, white space and more white space. 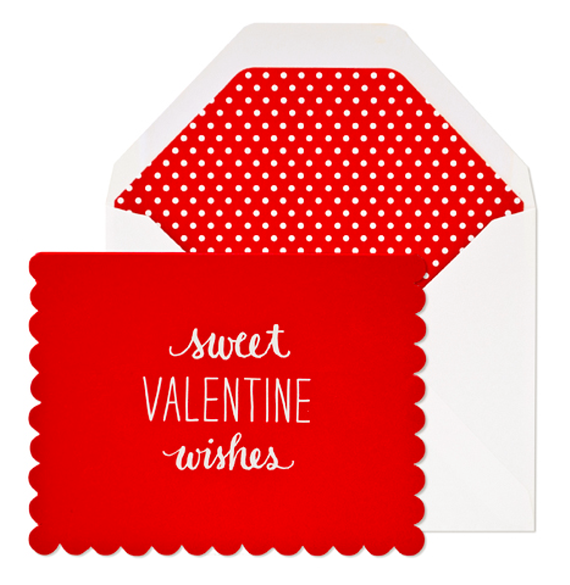 Swiden also offers the collection as note-cards. 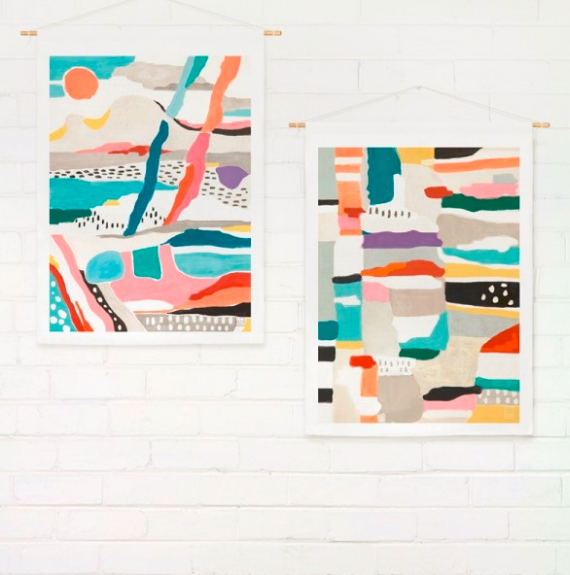 I think these would be darling framed and hung as a series. If I could send you a Valentine card, it would be this one. 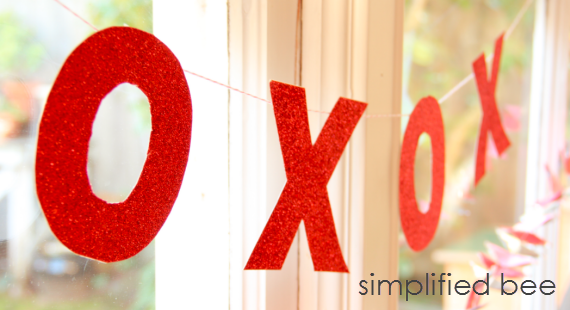 PS – Here’s the how to on the diy XOXO banner! This week has been a hectic one – juggling work and kids while my husband was away on a business trip. It made me appreciate the tools that help keep me organized. Making my “To Do” list is an important part. 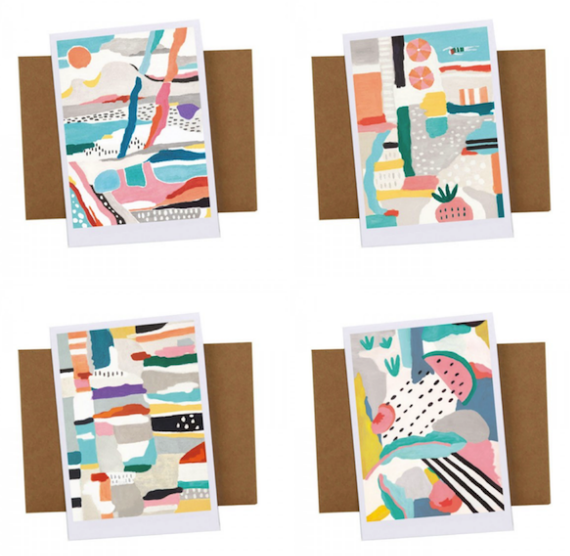 These adorable weekly notepad trio by Pinhole Press have magnetic backs (great for the frig!). 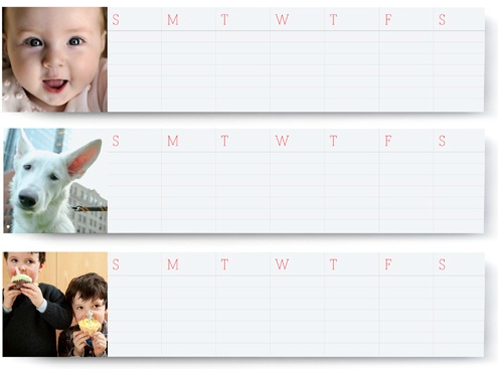 Personalize each with a different photo and have one for home, of the the office and one for the grandparents! 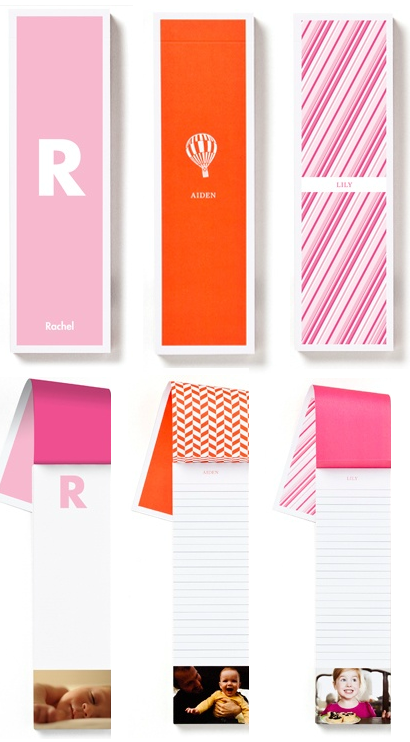 And how cute are these personalized notepads designed just for making lists? I will be ordering some!